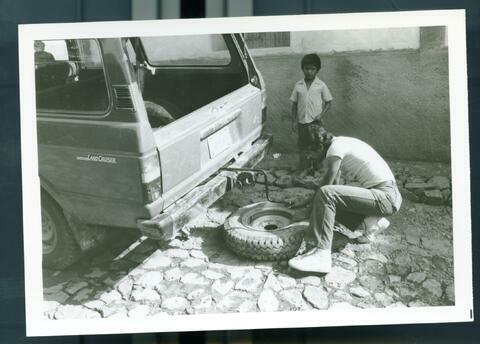 Item MBP-085 - Fixing a flat tire on a land cruiser. Honduras, ca. 1985. Fixing a flat tire on a land cruiser. Honduras, ca. 1985.